Right now I’m in the middle of reading Jane Eyre by Charlotte Bronte. I’ve been wanting to read this book for the longest time, and since I included it in my Summer 2015 TBR I thought that this would be the perfect time to finally pick it up. (Side note: isn’t that cover absolutely GORGEOUS??? I love the Penguin English Library editions! I’m also still reading Harry Potter y la cámara secreta by J.K. Rowling (the Spanish translation of Harry Potter and the Chamber of Secrets). W hat did you recently finish reading??? Last week I finished reading The Girl Who Played with Fire by Stieg Larsson, which is the sequel to The Girl with the Dragon Tattoo. I really enjoyed the first one, but I think that this second installment in the trilogy is just as good, if not better! This is such a suspenseful, un-put-down-able (yup, I just made a word) read! I can’t wait to read the third and final book! As you read this I will be riding in a car with my family as we make the thirteen hour drive down to West Virginia for a soccer tournament. Within the past few years I’ve noticed that I get car sick much more easily from reading, so I think I’m going to opt for an audio book next. I’m not sure which one I’ll end up reading, but I’m thinking either something by Neil Gaiman (I love how he narrates many of his audiobooks!) 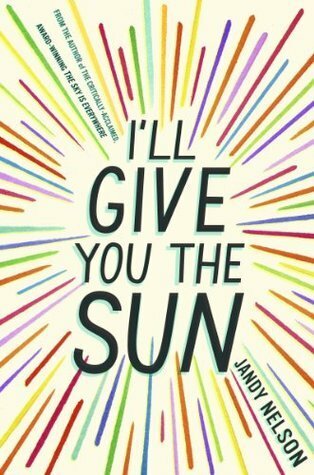 or I’ll Give You the Sun by Jandy Nelson. The Penguin English Library editions are gorgeous. And yes, Neil Gaiman’s audiobooks are the best. I hope you’ll enjoy your trip. Happy reading! I thought the last book in the Millennium trilogy was a great conclusion. I hope you think so as well. Glad to find another HP en español reader! Enjoy them. Happy reading and thanks for participating in WWW Wednesday! I liked all the Stieg Larsson books and the 3rd one is great. I had a friend who attempted Harry Potter in Spanish, thinking it would be an easy read. Of course, she had a shock, because all that magical vocab isn’t exactly something you learn in a regular language class! 🙂 I hope you’re enjoying it. 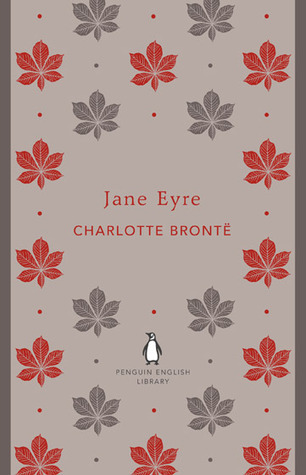 Jane Eyre is still one of my favourite books and I agree, that cover is lovely!